Sunderland born midfielder Gary came through the youth ranks and made his Watford debut in December 1983. He stayed with the club until 1997, playing 400 games and scoring some memorable goals including a hat-trick at home to Bolton in 1993. Now a football agent, Gary spoke to Watford Legends in 2008. Hi Gary, can you tell us how you started out in the youth ranks at Watford? There was a scout in the north east called Norman Alder who worked for Graham Taylor when he was at Lincoln. When Graham moved on to Watford he took his scouting network with him and I was part of his next batch of players. Norman had seen me play for my school team, and I also played for a boys team called Lampton Street Boys Club which Micky Smith and Mick Harford had both played for years before. There were five of us in total who came down. We got the Intercity Express from Newcastle into Kings Cross, and Tom Walley came and picked us up in the minibus and we spent a week or two weeks on trial. It was a long way from home and I was only 11 or 12 then. Norman looked after us though, and he had been trusted by our parents to keep an eye on us all. But for five lads coming down to train with Watford for a week, we just saw it as a fantastic opportunity. It was brilliant. When you were working you way through, did you ever think that you might not make it? I impressed them in my first trial down there, so for the next three or four years I kept coming back in every school holiday. There were various other lads that came down as well and Gibbsy was in the same age group as me. In the end I signed schoolboy forms on my 14th birthday, and kept coming down from my home in Sunderland every holiday until I left school and became an apprentice. What can you remember about your first team debut? My official debut was at Molineux when we beat Wolves 5-0. I think Maurice Johnston got two or three that day. I came on for the last 10 or 15 minutes on the left wing. My full debut was away to Leicester at Filbert Street and we got thumped 4-1, with both Lineker and Smith scoring for Leicester. To make my full debut was fantastic but the result was awful. My parents had come down from Sunderland to watch it, but to be fair I was 17 years old and the game just flew by and I didn’t really get too involved. I played wide left that day, so Barnesy must have been injured or being played through the middle or something. I didn’t really like playing left wing but because of my age and my size, I was about nine stone dripping wet, it made sense to play me there rather than centre midfield which is what I preferred. What other players were you closest to as you broke in to the first team? There was five of us apprentices all coming through at about the same time. There was me, Gibbsy, a goalkeeper called Derick Williams who was also from Sunderland, Alex Dyer and a centre half called Pat Noonan. Pat was the only one to not go on and have any type of career in the game. Derick moved on to Reading before drifting out and ending up working for Barclays Bank. Gibbsy and Alex are both still involved in the professional game. We were the only apprentices at the time so we had all the jobs to do between us! Cleaning a lot of boots then! No, the only job we didn’t do was clean other player’s boots. Graham Taylor would not allow it. He believed that if you were a professional then you looked after your own boots. So we were left with sweeping out changing rooms, filling the kit skips, making sure the balls were clean…the only pairs of boots we had to clean were the gaffers and the staff. So there was John Barnes, England international, cleaning his own boots! I could see the logic behind it though. They are the tools of your trade, you should look after them. Is it fair to say you enjoyed your time under Graham Taylor? Yes, it was fantastic. The one question people always used to ask me especially in Sunderland was, why Watford? The simple answer was that from me first coming down to the club on trial and every time I came back in the holidays after that, the club was always progressing. They were always looking for improvement and achieved it. When I first came down I think we were in the third division but by the time I signed as an apprentice in ’82 they were in the top flight. In fact my first full season at Watford was that first season in the top flight when they finished second only to Liverpool. All I had seen was this club growing and growing and going up and up, where as my home town team were just up and down all the time. The biggest reason though is that they made me feel special and like they really wanted me, so it was a fairly easy decision really. How did you feel at the time when Dave Bassett came in? When Dave Bassett came in I was 21 years old and had only just established myself in the first team as a regular. At the time there was no sign that the club was going to struggle so basically I just got on with training and making sure I impressed the new manager. Apart from Barnsey leaving, Dave inherited a good team, a team who was capable of finishing in the top half of the league. Was there maybe a split in the camp with players Basset brought in and players that were already there? Initially there wasn’t a split but after a few games into the season and some of the players from the Taylor era were sold and replaced, and results weren’t good, splits started to form. 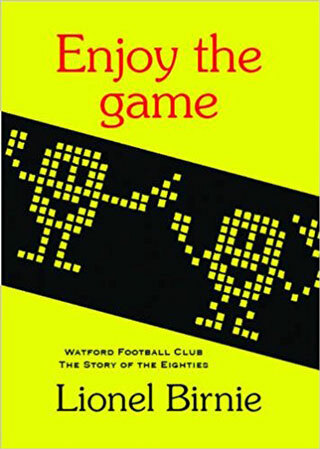 It was difficult for Harry because he had to follow the most successful manager in Watford’s history and selling players like Kevin Richardson and Mark Falco had an effect on the dressing room when things started to go wrong. Nigel Gibbs has told us that he had thoughts about making a transfer request at that time, did you get ‘itchy feet’ at all? Graham came in for me and wanted me to go up to Villa with him. Bassett told me about the bid, but also told me that he didn’t want me to go as I was part of his plans at Watford. If I could turn the clock back I would have gone. Villa is and were a big club and I enjoyed working for Graham, but Bassett didn’t want me to go. Do I regret it now…no, because I still had a fantastic career and played a lot of games for Watford. I do wonder where I might have gone in the game had I gone to Villa. But ultimately I didn’t have that choice as Bassett didn’t want me to leave. Would you say Graham Taylor is the best manager you have played under? Without a doubt. He was an unbelievable club manager, fantastic. He had his most successful as manager at Watford in that spell and it was great to be part of. Are there any particular games that stand out for you? We can think of one in particular! Ha! The Bolton game is the one most fondly remembered. But as well as that, I remember Arsenal in the cup quarter final, the semi against Spurs at Villa Park, which although turned into a disaster was a great occasion. We beat Spurs in the league 1-0 a few weeks later. Maybe with a full squad it may have been different, who knows? As for the Bolton game, what can I say?! 18 minutes left and losing 3-0 and playing an absolute stinker in the rain. We were that bad we may as well have stayed back in the changing room! I got the first one back, then the second and then Ken Charlery got the equalizer. I think Glenn Roeder was the manager at the time. And then I managed to score the last minute penalty to win the game. No. I never was. I was the penalty taker, I had a job to do so I just did it. It was something I just did. We had already pulled it back to 3-3 from an impossible situation so even if I missed it would have been a point gained. The penalty was just the icing on the cake for me and for the team. For 72 minutes we were just not in it. When we got the first one back it gave us a bit of a lift, and then when the second went in we actually started believing we had a chance. The right back for Bolton that day was Phil Brown, the current Hull manager. I saw him back when he was Derby manager and he said to me then that he still couldn’t believe it! I have, it’s in the garage but I made a big mistake. I got it signed by all the lads, but I didn’t get the special coating you can get put on it to protect it so they have all faded now. I also remember another goal that was a bit special, away to Norwich. That goal took us into the last game against Leicester with a chance of staying up. We won 2-0 or 2-1, and gave us real hope. We were playing in the burgundy kit, which is about the only kit I never kept! Graham was back as manager by that game. I actually spoke to Graham about that goal a couple of years afterwards, and he told me that at the time when he saw me turn he was praying I wasn’t going to shoot as he thought I was too far out but in the end he was pleased I did! Was long range shooting something you always had? I always had goals in my game, and when we were at Watford we were always encouraged to shoot when we could, albeit not ridiculously. Graham was a big one for stats and he would look at the number of crosses into the box, shots on target and everything else. Quite simply, you had to shoot to score was his idea so shoot a lot but get them on target. So we were confident to hit them from distance. Who had the better long range strike, you or Richard Johnson? Johnno’s were more ferocious! We had a good little mix in midfield. I was left footed and couldn’t kick with my right, and Johnno was the other way round. You would have to see who got the most goals though! Towards the end of your time at Watford you seemed to get moved to different positions quite often. How did you feel about that? Yeah I played virtually a full season at left back under Glenn Roeder. Glenn had a problem with David Barnes, they had had a fall out of some kind so we were left without a left back so he put me there. We just missed out on the play offs that year, I think we finished seventh. It was funny, he played Darren Bazeley at right back despite being a right winger, and he played me at left back despite me being a central midfielder. I spoke to Glenn about it to ask him why. He answered that he wanted to play it from the back, specifically the full backs. I liked to get on the ball as did Darren. Darren liked to bomb forward as well, where as I would serve it forward. It worked quite well, and we had a decent season. Did you enjoy playing at left back? Not really, I preferred playing in central midfield but if the manager picks you to play there then you just get on with it and give your best. To be fair there were times I did enjoy it, but plenty of times I didn’t. I remember we played against Man City once and I was up against David White who was about six foot tall and very quick. I am 5’6” and not very quick! They kept putting it over me so he was getting in behind as well as beating me in the air, and for the first half he gave me the complete run around. Glyn Hodges played in front of me that day in left midfield, but he wasn’t dropping back to help me. At half time the manager, I cant remember who it was at the time, told him to drop in and help me a bit more. In the second half he done that, he tucked in a bit and helped me stop the ball coming over the top. We won the game 1-0 but we got battered in the first half. Your last appearance in the first team came against Peterborough at home when you broke your leg. Did you realise at the time that that was you done? I remember it well. At the time Ramage was on a stretcher being carried round the pitch after he had done his knee in. I took a corner which got knocked out to Gibbsy. Gibbsy rolled it out to me, but unfortunately rolled it just that touch short. I was fully committed to the ball and trying to whip it back in. There was a lad they had on loan from Chelsea, Zeke Rowe or something like that, and as I whipped it in he caught me across my shin. They didn’t think it was broken at first, and I had to hobble off the pitch. Ramage was still on the stretcher and they didn’t want to chuck him off it to get me on it, so fat boy Ramage got carried and I had to hobble! I went in the physio’s room and the surgeon, Mr.McKenny, had a look and he didn’t think it was broken. There was no sign of a break. So they just strapped it up with a light bandage, put me on crutches and I hobbled home. I sat down that night and watched Match of the Day, and then got on my crutches to hobble upstairs to bed but the pain was just excruciating. I managed to get into bed but barely slept a wink. It was my wife Karin who took me to hospital the next morning. We had to contact the Watford physio and surgeon and then head down to Watford General and get it straightened out and put in plaster. I knew from the pain in the night that it was something serious, but I was lucky in that although it was broken it wasn’t a bad break. It was just a crack across the tibia, so it was a case of putting it in plaster for six-eight weeks and then get on with my rehab after that. I knew that I would be alright afterwards, but because I was getting a bit older I took a bit longer to get fit and unfortunately after that I never got the chance to pull the shirt on again for the first team. How would you say you got on with the Watford fans over the years? I think I got on pretty well with them. Like any player, I am sure there are fans that like you and think you are good, and fans that don’t think you are any good. But on the whole I like to think I had a good rapport with them. I will always remember when I left to join Walsall, and in my first season at Walsall I got injured early on. I came back from injury and my first game back I was on the bench against Watford. I came out to warm up, and the Watford fans at the game gave me a great reception, it was fantastic. I will always remember it. The Walsall lads couldn’t believe it! That will always live with me. I had never had the chance to thank the fans. Come the end of the season my contract had finished, Kenny was in charge with GT as General Manager and they called me in and basically said thanks, but that’s it now. Gutted. That was the only time I was really hurt. I had the broken leg and got over that, but never got chance to get fully fit. I had only had a few reserve games. I felt that with Graham there he would give me another year just to recover, get back playing and show people I could still play. I thought after 15 years service I would get that. Any axe to grind about that? No. If you speak to Graham he will say the same thing. I remember sitting in his office and him telling me. I thanked him for the first five years of my career, but told him that I couldn’t thank him for that particular moment. But you just accept it, you have to. The decision had been made and no matter what I said I wasn’t going to change that. You have to get on with it. But at the time it did hurt that they wouldn’t give me another year to prove myself, and I felt that after all that time there I did deserve that bit of loyalty back. And then on to Walsall for a couple of seasons, did you enjoy it? It was different, I had to go there on trial for two to three initially having had the broken leg the previous season and managed to earn myself a contract. I must mention now a wonderful man, Tom Walley. I trained with him all summer and he got me super fit. Where he lived, he had the cricket pitch at the back of his house. Other people had been to him as well. John Hartson, Tim Sherwood and others had been round to him and trained with him all summer through the years. I done two and sometimes three sessions a day to get me in the best condition possible to then go and get a contract. He was brilliant, I owe him. He was a fantastic man and a great coach as well. You had a stint at Scarborough as well? Yep I took them down, got them relegated to the Conference! I remember playing them in the cup in the early Glenn Roeder days I think it was. It was a tough time there. We were all sat in the dressing room after the last game of the season, waiting for the Carlisle score. Carlisle had Plymouth at home and were drawing, which meant we stayed up. There was a little TV in the dressing room at Scarborough. The news then came through that Jimmy Glass the goalkeeper had gone up and scored for Carlisle at the very end. It was unbelievable. Were you as gutted as the rest of the team, having not long been there and edging towards the end of your career? I was heartbroken. I was there on loan initially. Ray Graydon, the Walsall manager told me that Scarborough had come in for me. I knew Derek Mountfield who was the caretaker manager at Scarborough, and I went for him really. Derek lasted one game and then they brought Colin Addison in! It was an absolute sickener to get relegated from the football league. Shocking. Then on to Boston for a year. Six games to be precise! They might have held on to my registration but I only done 6 games there. It was ok, not particularly enjoyable. I called it a day after that. I cant even remember my last game, somewhere in the Midlands though. What was it that made you take the final decision to hang your boots up? Put simply, I wasn’t enjoying it. I was 33, I had had a decent career and was starting to do a bit on the agency side of things. I had an agent for the last few years of my career, Mel Stein, who was also Gazza’s agent. He offered me a job with him, and initially I started part time with him and part time with the football. I wasn’t enjoying the football, so it made sense to go into agency full time with Mel. Was there a particular moment within a game that you decided to knock it on the head? It was actually at half time in a game. I had a manager at the time at Boston called Steve Evans who was very good for Boston and got them promoted. He took me off at half time, I was not enjoying it and I was only earning a part time wage. I have got my memories from my time at Watford and some from Walsall, and I am quite happy with that. I have lived my dream so I will move on to something else now. The money being earned in my playing days right up until the end was never great, but I played because I loved it the same as I did when I was a kid. Can you give us a run down of your time from leaving the game to now? I have stayed within the game albeit on the other side of the fence and I am still working as a football agent now. I spent a year working with Mel Stein, and then left him to go and help build another guys agency company up from scratch. The company was then bought by a bigger company and I have been with them ever since. So I am still involved in the game which is fantastic. What is the typical day of a football agent? It varies. Usually, during the day it consists of phone calls to existing clients, possible new clients, chief scouts, and various other people involved in the game as well as arranging meetings. Evenings are usually spent watching existing or possible new clients. I also have to travel abroad, to watch players who are looking to come and play in this country in the Premier League. Just how complex can a player or managers contract be? It really depends on the individual. Whether you’re working for a player a manager or a club, you are striving to get the best possible deal. And are the figures we read about in the papers actually in the right bracket for players salaries, for example when you hear about a player earning £100,000 a week? The players at the top end can earn that and more. Although sometimes some figures you read about are slightly exaggerated. As an ex player myself, I believe the players have every right to earn as much as their agents can negotiate for them; and that their clubs are willing to pay them. Do you think it has had a major effect on the game with respect to ex players falling out of love with the game because of the money side of things? I haven’t seen it. I think the Premier League is a great spectacle. Everybody wants to be there, Championship clubs and even clubs below that are all striving to get there, players want to be there. I am sure you lads as Watford fans want to be there. Football has evolved, and everybody connected with the game has to go with it. I am a football fan, and I love the Premier League. I am in a privileged position though in that I watch a lot of games normally from a very good seat that I don’t have to pay for because it is business because I am watching a client or whatever. I very rarely get to watch Sunderland, which is the team I supported as a kid, as a fan. Or for that matter I rarely get to come and watch Watford as a fan. Its all business for me, and like I said I think the football in the Premiership is fantastic. You see players like Lennon, Ronaldo, Drogba, Huddlestone and all the others, and as a player you want to play against these players. This is the great thing about football though, its all about different opinions. I can see why you would prefer to go to Barnsley on a wet November afternoon, but I personally love the Premier League. Its all about opinions. We are sitting here now discussing it with different opinions, and we could talk about it all night long and it is talked about all night long in pubs up and down the country. I simply love football. I have 2 little girls, 11 and 5. I have been privileged enough to take my eldest to England v Portugal in a world cup quarter final and sat with the players families. Aaron Lennon is one of our clients, so we were able to get to sit with them. I took her on the train from London to Brussels, Brussels down to Cologne and we stayed overnight and did all that. That was a little bit business, but mainly as a fan and it was fantastic. She has been to see Man Utd v Newcastle and sat in the directors box, because Glenn Roeder, who is a good friend of mine got me 2 tickets in the directors box. Stuff like that is what makes football such a great game, there is always different ways of doing it but everyone loves how they go about watching there football. What was the last game you saw, be it Sunday league or whatever, where you just went to watch out of enjoyment and fancying a game to watch? I went to watch my eleven year old daughter Caitlin play for the school in a mini tournament and I really enjoyed it. I normally watch 3 or 4 live games a week. The other week, my working week consisted of: Tottenham v Villa Monday night, Everton reserves v Man City reserves Tuesday night, Norwich v QPR Wednesday night, Everton v Standard Liege Thursday night as well as phone calls and meetings and what have you. How aware were you of the rivalry with Luton in your Watford days? Very aware. It was the local derby, they were the enemy and you had to win. Simple as that. Yep that was me unfortunately. The only good thing for me about that game was that I put the ball through for somebody to score the equaliser, I think it was Kevin Phillips. It wasn’t a very good penalty. In fact it was a disaster penalty! in the early days, when Graham was manager and David Pleat was managing them lot the games were fierce, and that never goes away. As fans the rivalry is strong as you know, but as a player do you get even more pumped up and wound up before those games? You know what it means to the fans. Nobody needs to tell you. You don’t need a manager saying this is Luton, they are the rivals you have to beat them for the fans. You are a pro and want to win every game. But as players, you know that as fans they will have to go to work on the Monday, some of them to work with Luton fans and you want to win to give them the bragging rights. You know how much it means to the fans. Its a great feeling when you beat them.